Traditional style wisdom says that to find a truly flattering pair of sunglasses all you need to do is analyze your face shape, then choose a pair of shades in a contrasting (read: complementary) shape. Therefore, if you’ve got an angular shaped face, you’ll look best in rounded frames, and if you’ve got a round face, you’ll look best in square or rectangular frames. Should you be born with an oval shaped face—considered the most neutral shape and probably the fit model for most sunglasses designs—you’re “lucky” and will look good in more shapes overall. 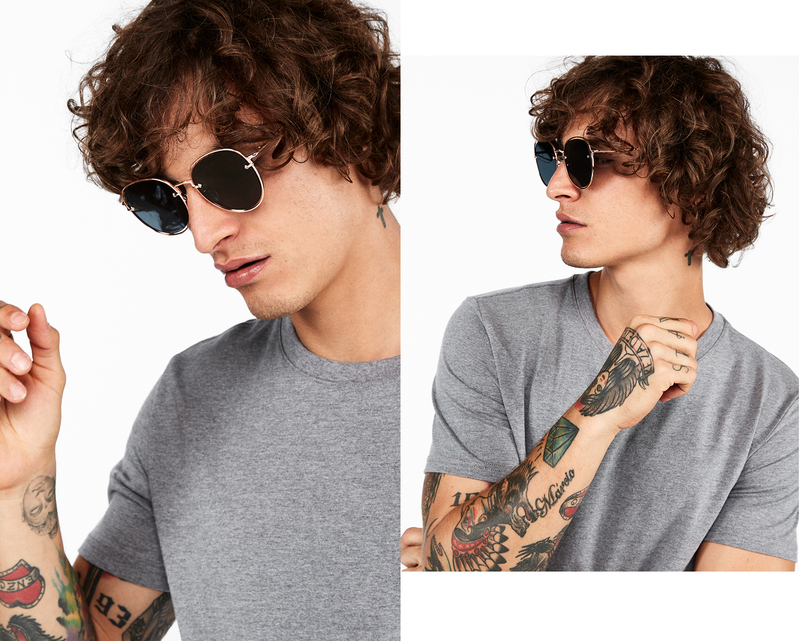 However, there’s actually a lot more to rocking a pair of shades than the shape of your mug, and when it comes to stepping out in the newest most futuristic trends, you might just have to break some rules. But you can’t start breaking rules until you learn them. So let’s start at the beginning. Here’s a breakdown of the four most common face shapes, from roundest to most angular, and what shape frames work best for each. 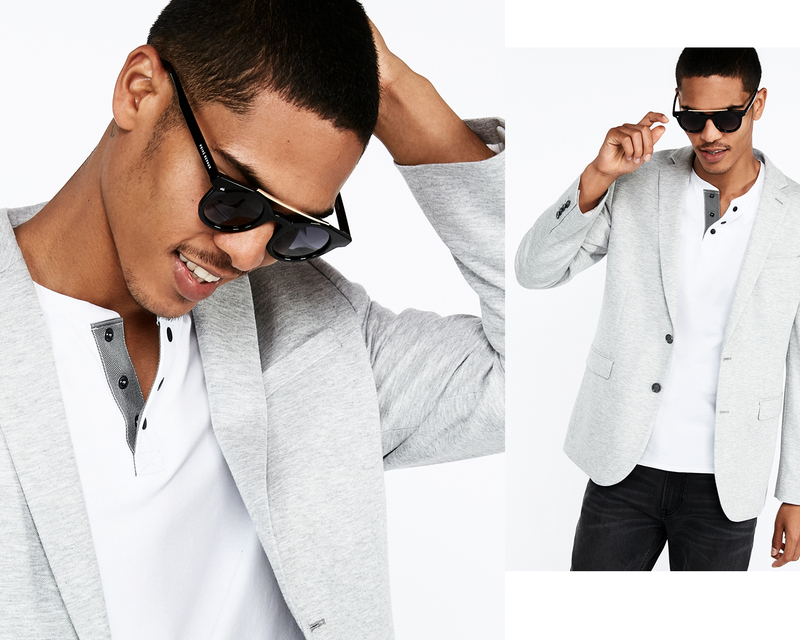 The best part: Express carries a wide range of Privé Revaux sunglasses that’ll meet all your eyewear needs. Your jawline is soft and rounded. The width between your cheekbones is approximately equal to that of your face length and both are greater than the widths of your forehead and your jawline. You should stick to shades with square or rectangular frames. Look for pairs that are on the wider side to fit your wide set cheekbones. The angle of your jaw is rounded rather than sharp. But the overall length of your face is greater than the width between cheekbones and your forehead measures wider than your jawline. Your rounded jawline could use some structural contrast. 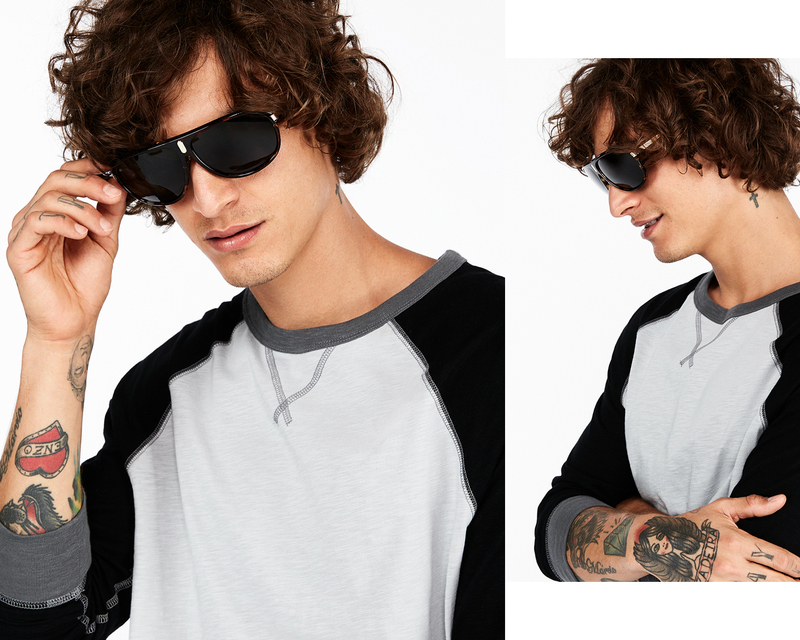 Get it with a pair of rectangular shades something strong and straight across the browline. Your jawline is strong and you have a pointed chin. The width of your forehead is wider than cheekbone to cheekbone and the width of your jawline. The upper part of your face is wider than your jawline so you’ll need to be wary of already frames that make your head look top heavy. Find something light and thin with rounded edges to balance your sharp chin. Wire-rim aviators or browline shades should do the trick. Your jawline is sharp and angular. The measurements of the width between cheekbones, face length, width of forehead and jawline are all approximately the same. 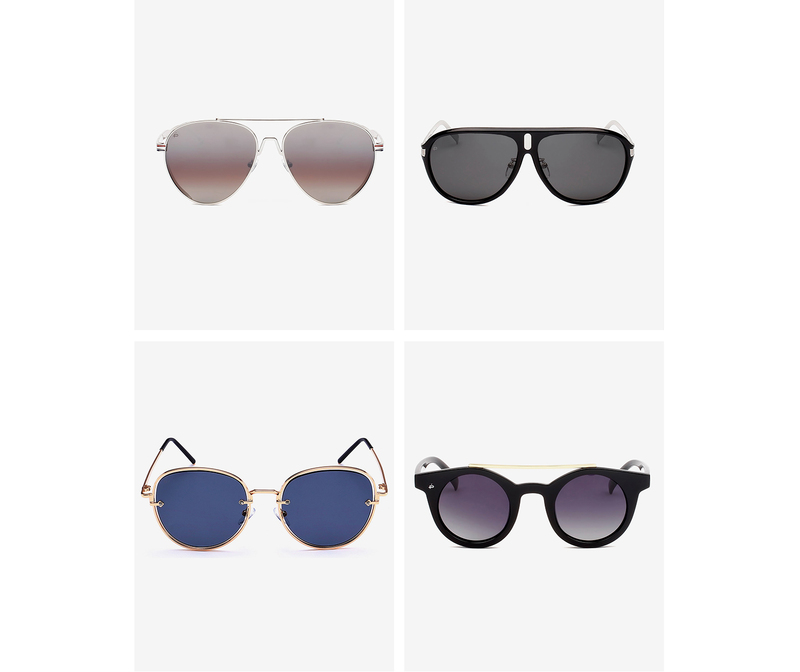 Round sunglasses like John Lennon’s and Harry Potter’s signature frames are perfect for you. 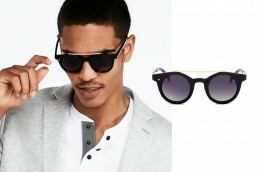 But if you’re looking for something less extreme go for rounded plastic frames or aviators. Remember, just as important as face shape is your personal style. If your style vibe is more bookish cool than Top Gun, you’ll probably want to go for browline wire rims—think Malcolm X or Bruce Willis in the 80s. 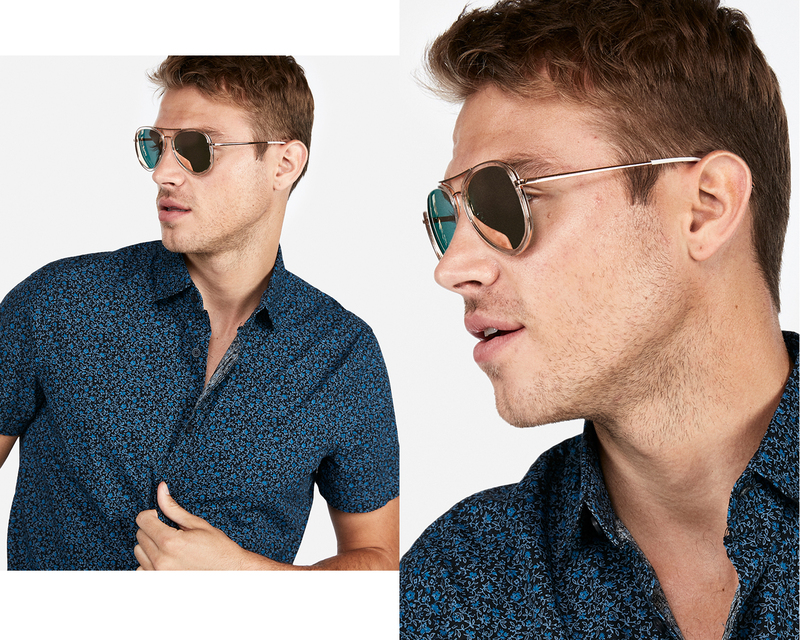 If you like to make a splash like Tom Cruise, Brad Pitt, or Kanye West, go ahead and ball out in a pair of tinted aviators. Once you’ve established your go-to style, feel free to order online, but until then you might want to try ‘em on in person. Bring a friend with you and try everything on—and take pictures. After all, whichever pair you choose, you want them to look cool in photos, maybe even on a dating app, and for sure on other people’s Instagram posts. Lastly, we talk a lot about how your suit and your shorts should fit your body. But rarely do you hear the same kind of talk about the way your shades should fit your face. Fit is especially important if you’re going to venture outside of the recommended shape for your face. Basically, you want to make sure your sunglasses don’t look way too big or way too small for your head. They should feel comfortable on your face, and they shouldn’t slip off your nose—just one more reason to try them on before you buy.